Looking for a solution on how to remove skin tags at home? It's easy and safe with Forces of Nature’s new certified organic, all-natural treatment. 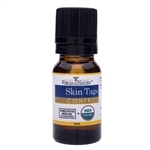 Apply to skin 2-3 times per day and skin tags dry out in just 1 to 3 weeks. Dry out and remove skin tags within 1 to 3 weeks. Results are guaranteed. Value Size. 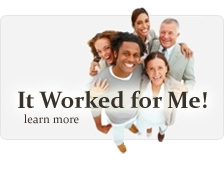 Remove skin tags at home with a new, fast, safe and effective treatment for skin tags. Results are guaranteed. Small growths of flesh that commonly appear on upper chest, neck, eyelids, underarms and other areas that are regularly rubbed, skin tags often appear in association with pregnancy, diabetes or due to genetics. One treatment option is a ligation procedure in a doctor’s office – others involve over-the-counter remedies that often contain toxic ingredients or pesticides. The world’s only certified organic skin tag remover that is available and manufactured in an FDA-registered facility, Skin Tags Control Extra Strength is safe for the skin and the environment. It is so effective that it is the only skin tag remover backed by a one-year money-back guarantee – typically, when applied daily, Skin Tags Control Extra Strength removes skin tags within one to three weeks. Concentrated with naturally occurring phytochemicals and antioxidants to help dry out skin tags, Skin Tags Control Extra Strength includes thuja occidentalis and calendula to heal the skin. These certified organic phytochemicals are ultra-potent, offering therapeutic value and effective results without any harsh chemicals, pesticides or toxins. The Forces of Nature team has travelled the planet to secure the ultimate ingredients, offered by a variety of small cultivators of medicinal plants in Australia, Canada’s Rocky Mountains, the French Alps and the Eastern shores of the United States, for skin tag removal. When it comes to treating skin tags, Forces of Nature leads the pack with award-winning products that are carried in leading stores, including Whole Foods and CVS. This unique patent-pending formula was developed in-house by Forces of Nature’s expert team of doctors and scientists. 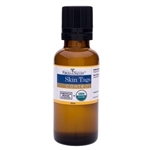 Skin Tags Control Extra Strength offers is an amazing blend of therapeutics that absorb rapidly into cellular membranes to eliminate skin tags. Results are guaranteed.